*October Event Schedule* — Yalaha Bootlegging Co.
Join us for Second Saturday, October 13th, 11 am until 2 pm at Yalaha Bootlegging Co.! Our country store will be open, moonshine will be available, and it's the perfect time to sit a spell. It's going to be a great time and we hope to see you there. As always, Second Saturday is a free event, family friendly, and pet-friendly! 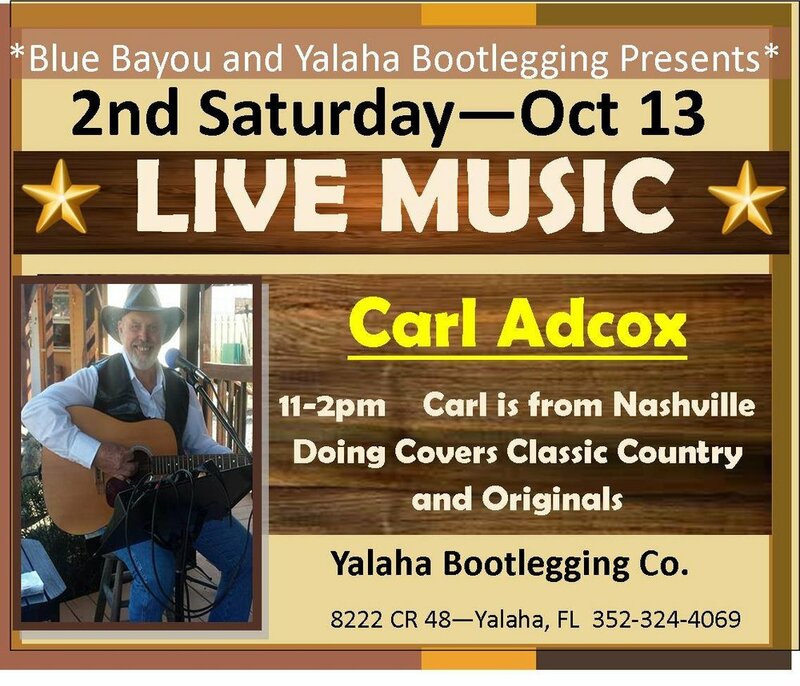 Stop by Yalaha Bootlegging Co. either on your way or coming back from Bikeobert Fest in Daytona! It's going to be a great time and we hope to see you there. Be sure to pack a chair! As always, events at Yalaha Bootlegging Co are free events, family friendly, and pet-friendly! 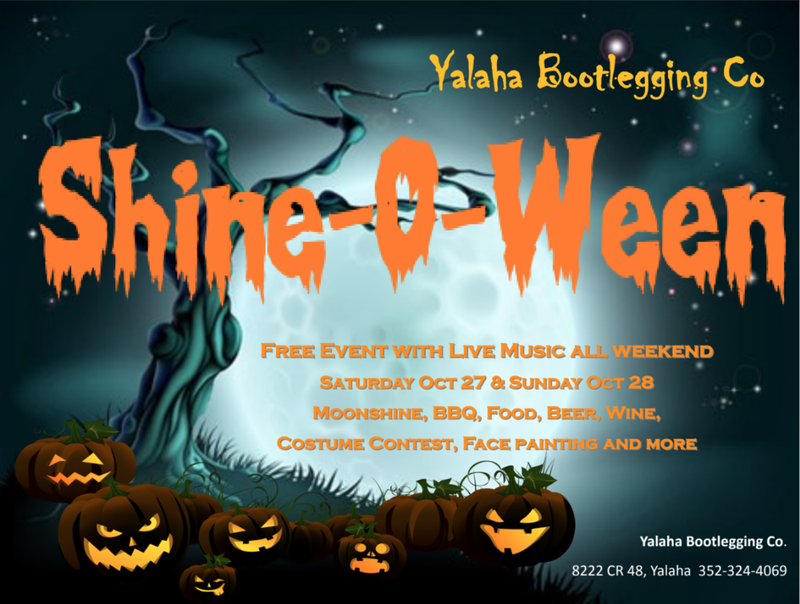 Shine-O-Ween is a weekend Halloween festival taking place at Yalaha Bootlegging Co. and Blue Bayou Farms. It's going to be a weekend full of music, moonshine, and good times. 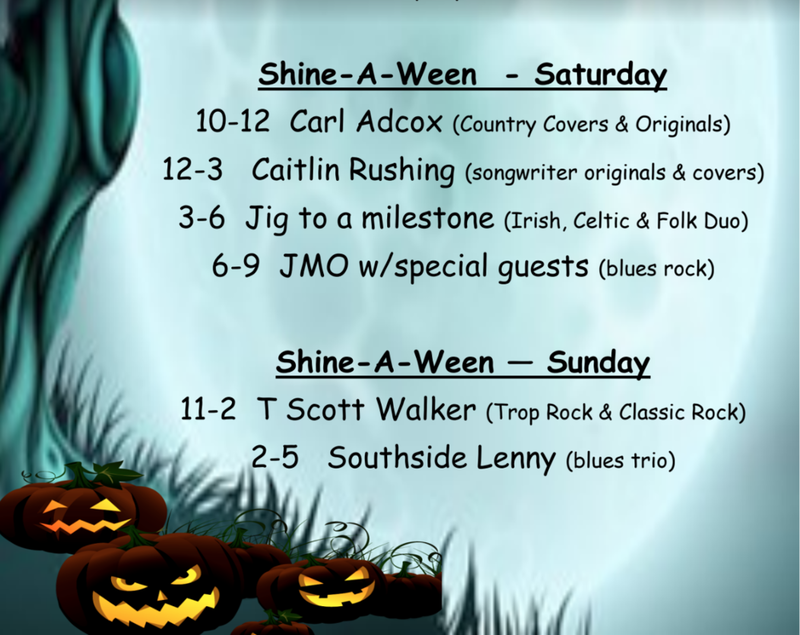 Shine-O-Ween is a free event that is also family friendly and dog-friendly! 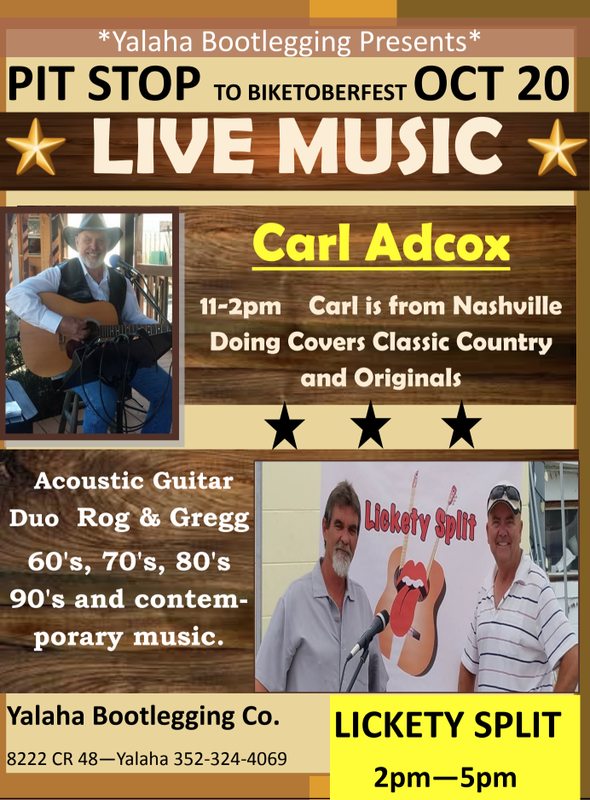 Enjoy live bands from local musicians with a country scenic view. Don’t forget, moonshine tastings are always available! RSVP & INVITE A FRIEND ON FACEBOOK BY CLICKING HERE!